Roto-molded coolers are all the rage these days, with companies like YETI, RTIC and ORCA at the forefront of the movement. You may notice that these ice chests all look the same, often with the exact same features. 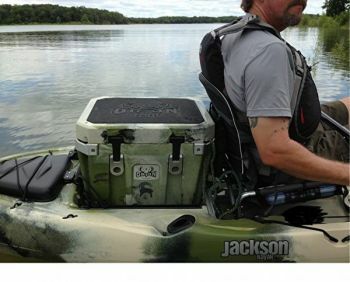 But we’ve recently come across a company that is making their own roto-molded cooler designed for fishermen, kayakers and hobbyists alike, with features you didn’t even know you wanted. 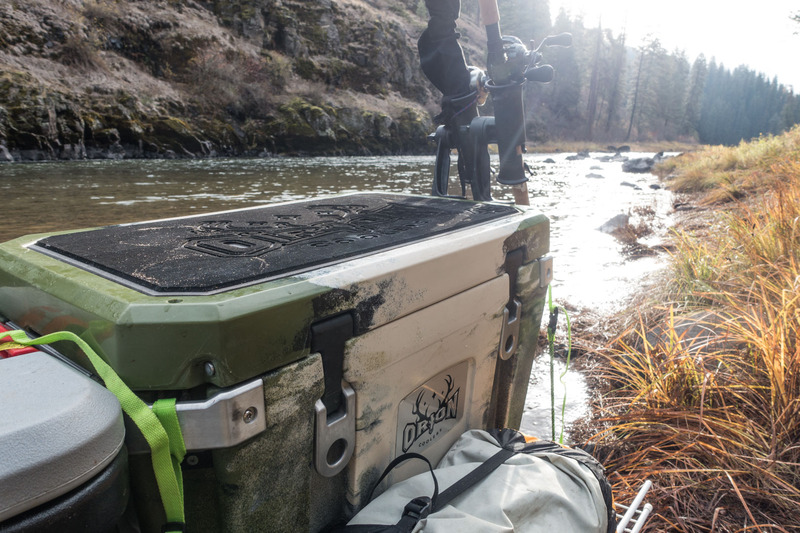 Orion coolers, owned by Jackson Kayak, are the subject of today’s review, so let’s dive deeper into what make’s these iceboxes so great. Don’t have time to read every last detail? No problem, that’s why we did it for you. Just check out this quick summary of the full review. For those of you who want to get into the nitty gritty, carry on! 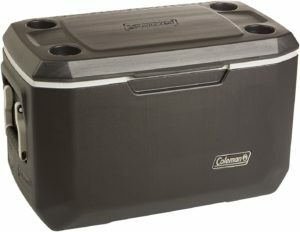 Best Features: bottle opener corners, rope handles, rubber lid top, rubber gasket, aluminum cam latches, tiedowns, bear-proof, optional cutting board divider. 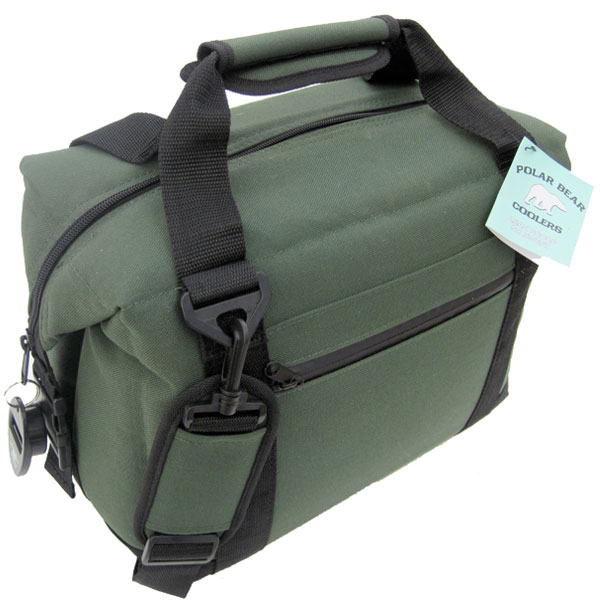 Sizes & Colours: Sizes ranging from 25qt to 85qt, 4 different colours. 65qt is the most popular and versatile. Recommendation: Expensive, but packed with great features and you pay for great quality. 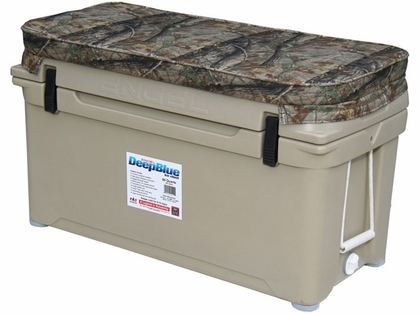 Absolute best cooler for kayak fishing, great for camping, fishing, hunting and works great for other more casual uses. Orion coolers are made by Jackson Kayak, a major manufacturer of plastic kayaks. Jackson Kayak is an American company, and all of their products are made in their factory in Tennessee. Jackson makes kayaks for competitive kayakers, casual whitewater rafters, professional fishers, and casual hobbyists. They use quality materials and build impressively reliable, durable and lightweight vessels. And, they’ve used their expertise in plastic manufacturing to build an equally impressive roto-molded ice chest. Roto-molded coolers like Orion’s are manufactured by filling a mold with molten plastic while simultaneously rotating the mold. In the case of these coolers, this produces a uniform layer of plastic covering a thick foam insulation, making these coolers virtually indestructible. 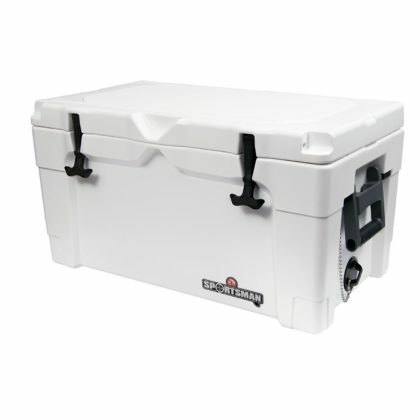 The unique design and manufacturing provides them with impressively long ice retention due to the thick insulation and lack of seals that would otherwise be produced in traditional cooler manufacturing. Plus, Orion’s have features we typically don’t see in other brands. 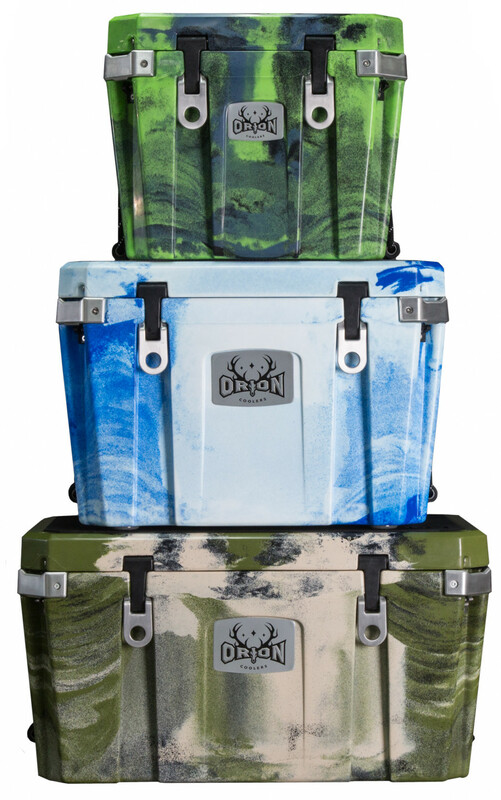 Orion coolers made our list for the best coolers of 2018. Check out that roundup to see how they compare to other models, or read on to find out specific details about this cooler. 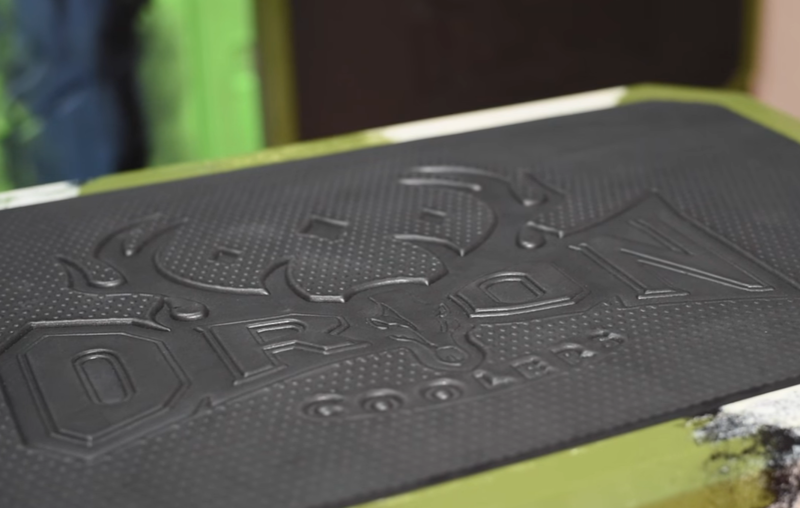 Orion coolers are manufactured right here in the USA and they draw from their experience and expertise in producing kayaks with their manufacturing. The thick polyethylene exterior is rugged and durable, and the insulation within is thick and extremely good at retaining cold temperatures. The insulation is at least 2″ thick everywhere – even the lid and the corners. They certainly don’t cut corners on quality and it’s apparent in the materials they use. The rope handles are thick and durable, and are connected to a thick, rubber motorcycle grip handle. 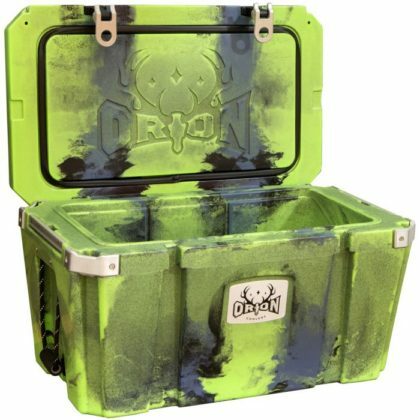 Orion has designed their ice chests with some awesome unique features that we don’t see in most any other roto-molded coolers. Here’s a quick list of our favourite features and why they matter. Non-slip embedded rubber pad on the lid acts as a cushion when you’re sitting on the cooler, and also prevents slipping if you ever need to stand on it. It’s great for on the boat when you need to use a cutting board or so your tackle boxes don’t slip. Orions have a unique locking system that we absolutely love. 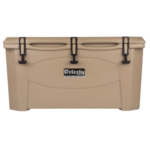 To lock up other premium coolers, you can use a padlock to secure the lid to the tub, then a cable to safely secure the cooler to your truck, boat or wherever you store it. But, you can’t keep it locked safely and also have access to the inside. You can use the aluminum corner to secure the cooler instead, so you can keep it locked up safely to your truck and still get in and out. One of the most unique features of an Orion is the built-in aluminum YakAttack track system. 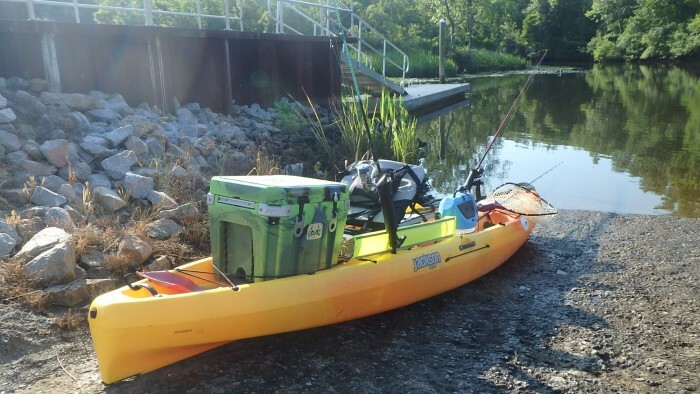 YakAttack makes fishing gear specifically made for kayaks, and having additional contact points on your cooler that will be mounted to your kayak gives you that much more space and freedom of movement. The handles of the cooler are well-designed, long enough to be comfortable enough for most folks to carry, but won’t drag on the ground. The thick marine-grade rope has a thick and durable rubber motorcycle grip handle. No cheap-o foam here. While most roto-molded coolers have rubber latches you pull down and secure into place, Orion has two-part aluminum cam latches instead. They are easy to open and close thanks to the mechanism of the latch, but hold extremely tight. Best of all, they don’t stick out and sit flush with the wall of the cooler making it easier to pack, and won’t cause problems by getting caught on anything – like when you’re fishing on a kayak. 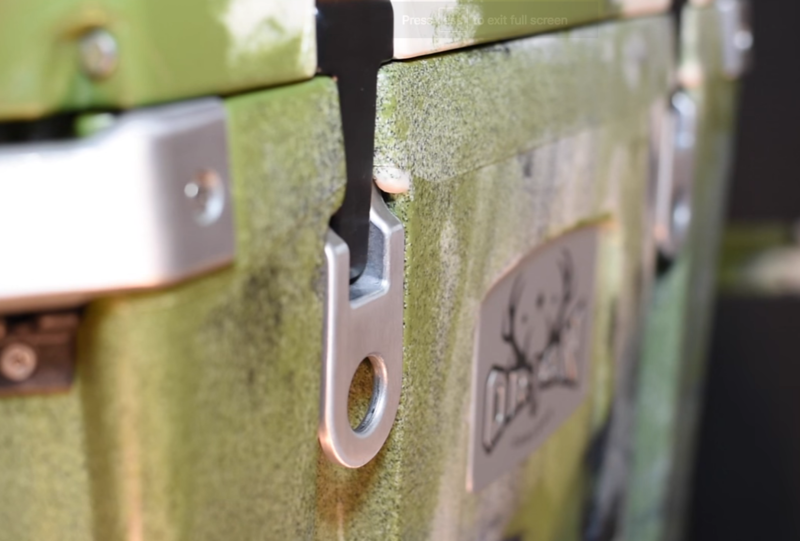 Not only are the cam latches more difficult for smaller wildlife to open, butwhen you use a padlock, the ice chest becomes certified bear-proof. You can rest easy knowing it can take a beating and your things will be kept safe, even from the assault of a grizzly bear. An optional feature available in the larger cooler sizes is a food-grade cutting board, that also can act as a divider for the inside to improve your organization. 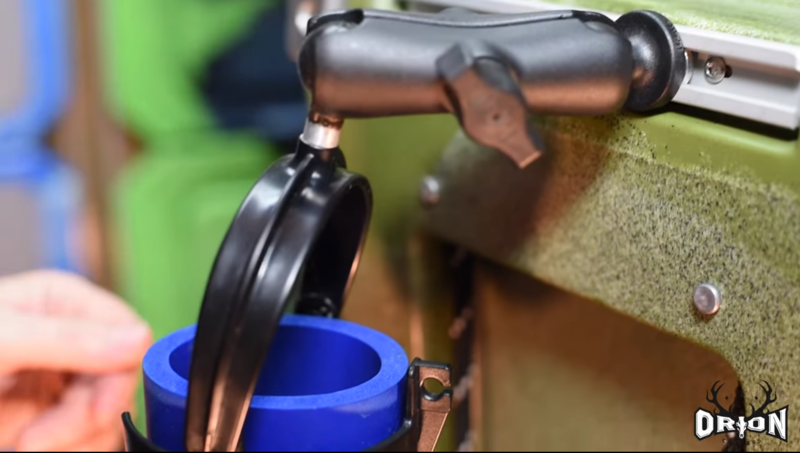 This is an awesome feature for fishing, camping and hunting. So, clearly Orions have a lot of awesome features. But if you’re going to be spending a few hundred dollars on a cooler, you want to make sure it works. Thankfully, Orion’s great design and features all contribute to its awesome performance. Competitor’s like YETI or RTIC we’ve reviewed in the past can provide 5-6 days of ice. How does Orion compare? Quite well, actually. 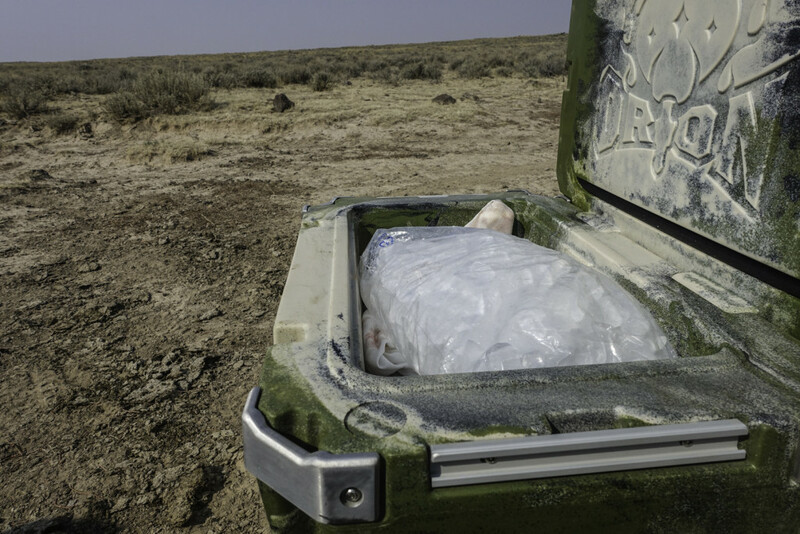 We’ve found that Orion coolers can easily get you 5-6 days of ice, even up to 9+ days! It’s important to keep in mind there are a lot of factors that can affect ice retention such as: where the cooler is stored (temperature, direct sunlight, etc. ), how often the lid is opened, if it was pre-cooled, what type of ice you use (large blocks vs small cubes) and several more. Regardless of how you will use it, we can expect you to almost always get a full weekend of use, which is what most folks will use it for, and up to 5 days shouldn’t be an issue either. Roto-molded coolers are great at keeping ice due to their thick insulation, but it can also be a downfall. 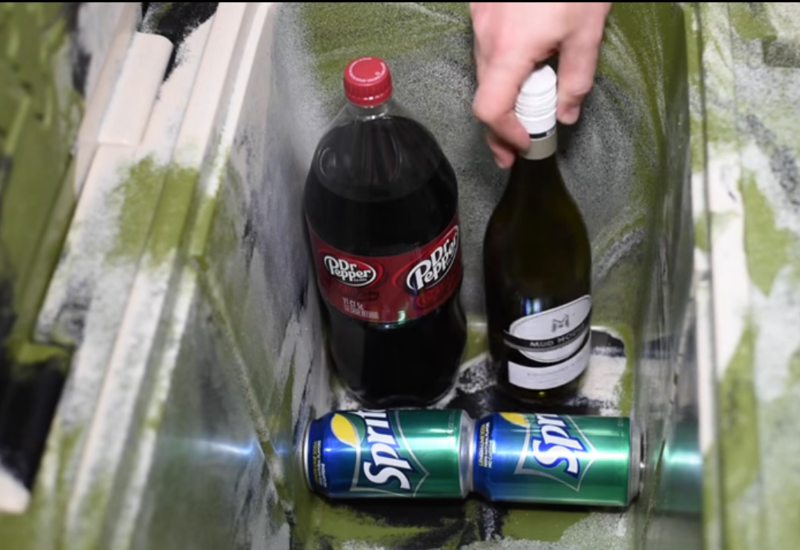 The insulation can trap ambient heat from wherever you store the cooler, which can then warm up your ice once you fill it up. It’s important to pre-cool your Orion by using a “sacrificial” bag of ice to cool the insulation before you need it, or store your ice chest somewhere cold like inside a chest freezer. Many folks don’t get their expected ice retention times due to this easily overlooked fact. If you want to hit the 5-6+ day mark, you should always pre-cool! 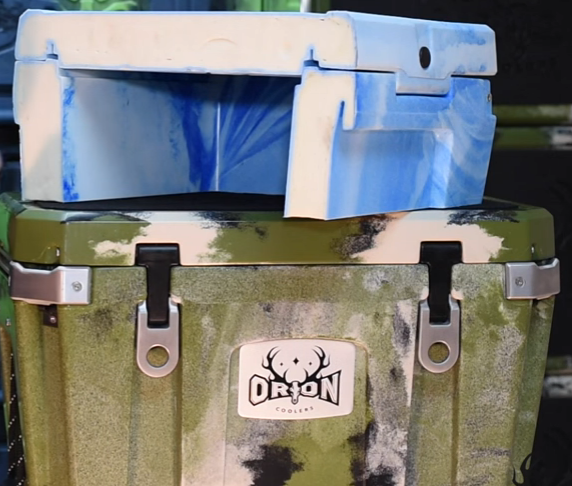 Orion’s are easily recognizable due to their unique camo-colored designs, produced by using differently colored plastic during the molding process. The colours available are: forest, sky, jungle and dorado. They are available in a few different sizes, ranging from 25 quarts to 85 quarts. The two we recommend are the 25 and 65 quart sizes, since they are the most useful.The 25-quart model is great for day trips, or for mounting to the back of a kayak. However, the most popular and versatile is the 65-quart model. 65 quarts is a size that has many uses: weekend and week-long trips, boating, camping, BBQs, parties and more. Another great thing about the sizes of Orions is their “real-world” sizing. In other words, the exact dimensions for the inside of the cooler they decided upon were carefully selected to ensure you get the most out of your ice chest as possible and can fit common items comfortably For example you can fit an entire case of water perfectly within the tub, they’re tall enough for wine botles and 2L pop bottles, and wide enough to stack two aluminum cans end to end on their side. No wasted space means more room for your food and drinks. This is a detail many other brands don’t bother to consider. Orion stands behind their products, and offers a limited lifetime warranty for workmanship and materials. This is definitely one of the longer warranties in the industry, and should you have any issues, we’ve found their customer service is friendly and quick to respond. 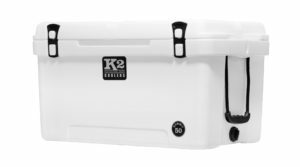 Unfortunately, all of these great features come at a cost, and these coolers are even more expensive than YETI – a company known for their high prices. But, considering the ways that Orion beats out YETI like their awesome features, better ice retention and the fact that YETI’s are made in China, while Orion continues to manufacture in the USA, the price is somewhat justified. Like most things, you get what you pay for, and thanks to the quality of materials, durability and warranty, this is a “buy it for life” type of product. Click here to check the latest price of an Orion cooler online. So, should you get an Orion? The price point means that it won’t be for everyone. 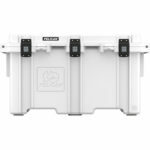 But if you have the budget for it, want the absolute best ice retention and features in the industry, or need an ice chest for kayak fishing? Then definitely yes! If you only will be using it for day trips to the beach, it may be a bit overkill because the insulation can last you 5+ days and you won’t get the full use of the great features. But overall, this is possibly our absolute favourite cooler and although not everyone will pay for it, you won’t be disappointed if you decide to. 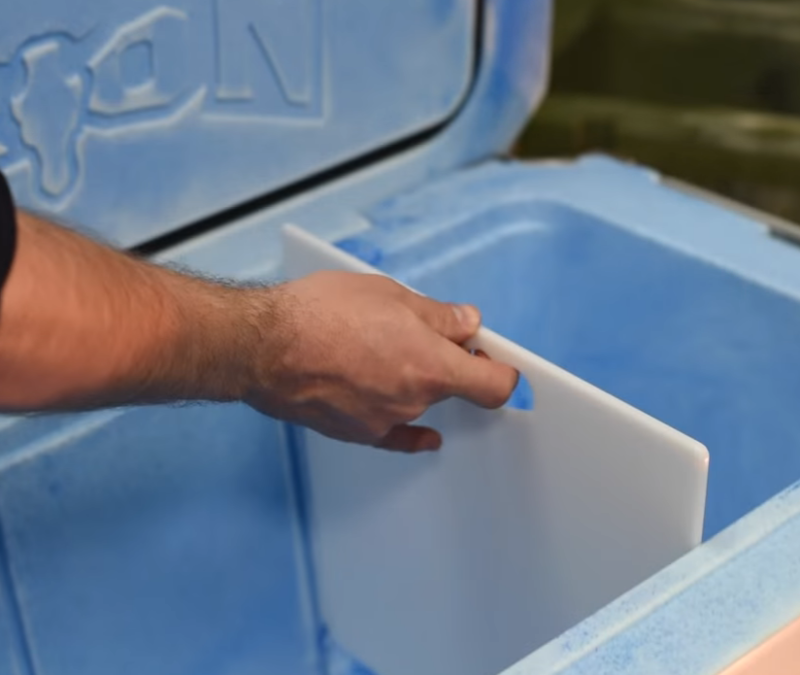 Did this review help you choose your own Orion ice chest? Do you own one already? Let us know your questions and comments, we love hearing from our readers!